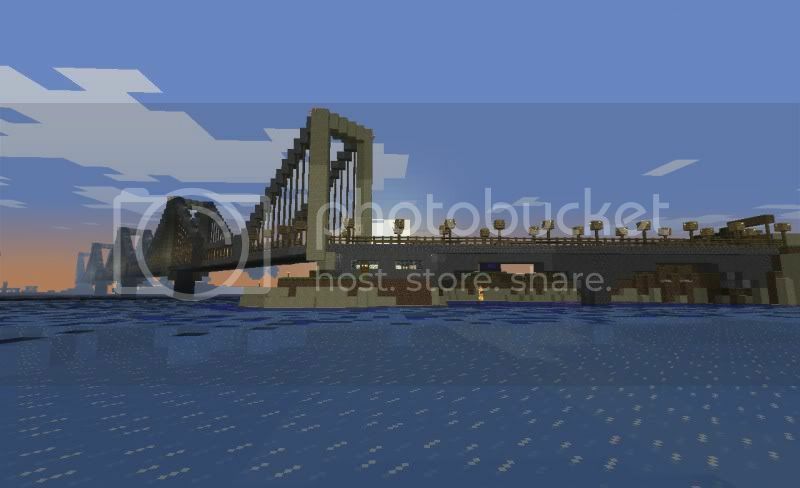 I like building bridges, and I have a couple of designs I want to show off here, but I also want to see the kinds of bridges other people have built, so feel free to share! This is one I made a while back with the challenge of working along a diagonal path. 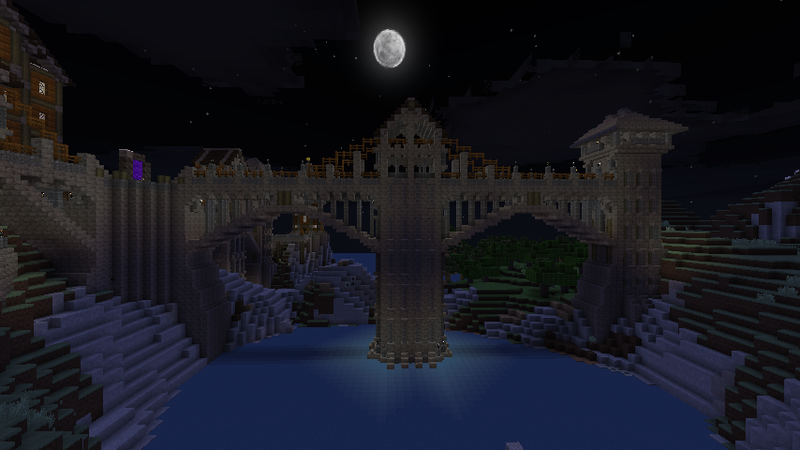 And here's another diagonal bridge I built on the IndieSquish server a couple of world resets ago. Current Let's Play Series: "The Long Road" (Vanilla Minecraft in 1.8 snapshots), "Life in the Woods" (Modded 1.6.4), "Kerbal Speed Program" (Vanilla KSP with chipmunk voice commentary). Stone arch bridge spanning a valley between two mountains. There is a 3-block wide roadway across the top, and a rail line running through the trusswork. View from the road on the valley floor. 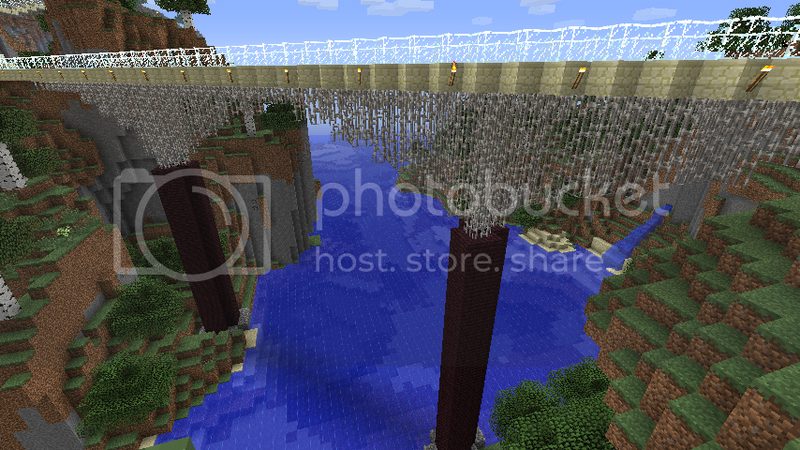 This suspension bridge carries my world's main east-west highway out of the east gate of my central mountaintop base. This is a cable-stayed bridge just to the northeast of the previous bridge, spanning the next valley. The central tower is all pillar quartz blocks with a ladder inside, and the valley is home to a sort of enderpearl mini-golf course. The right deck carries the highway, while the left deck carries the main eastern spur of my railway network. 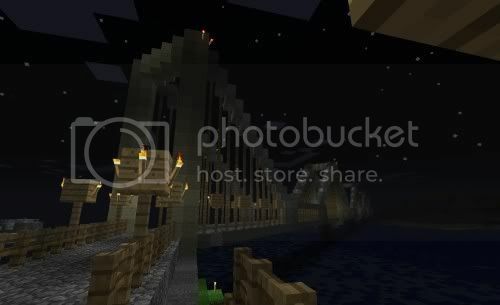 Two-span stone arch bridge that carries the main north-south road out of the south gate of my central base. The spawning floors of my original hostile mob farm actually lie just below the central pillar inside the mountain. A wooden arch bridge across a lake and part of a plain, located on a remote stretch of highway near two plains NPC villages. 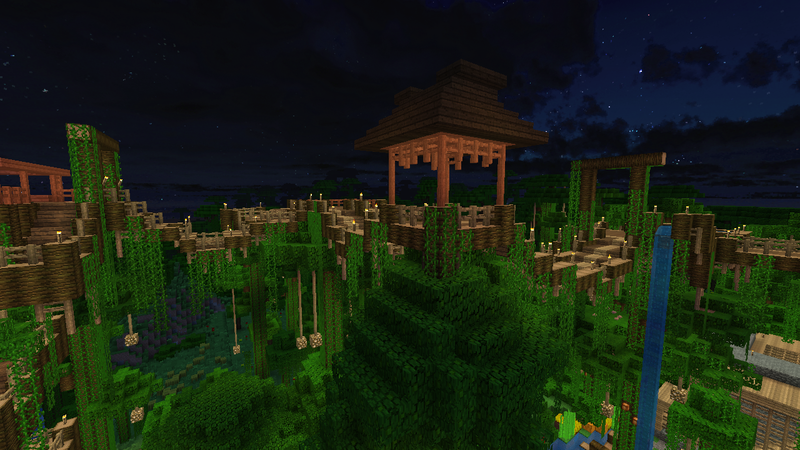 This design was inspired by youtuber BDoubleO100's bridge connecting his modern house to the spawn town on the Mindcrack server (season 4). The second and third arches crossing a section of plains and a small pond. 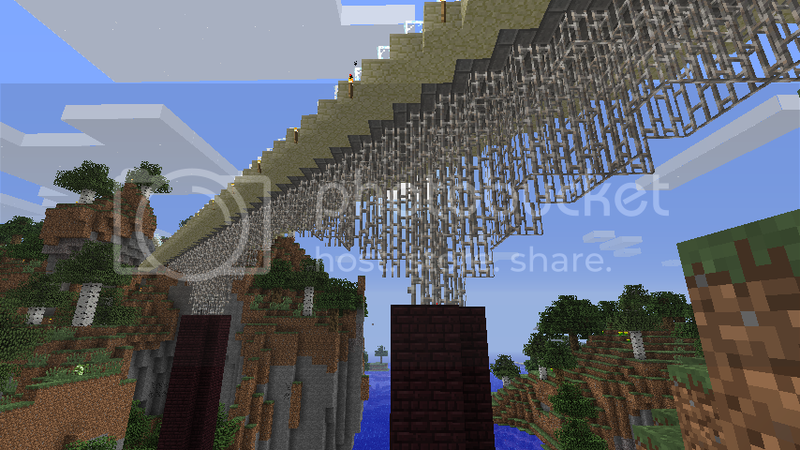 All of these bridges were constructed in vanilla survival, and designed with the default texture pack in mind. I know this is old, but for anyone who reads this, hi. 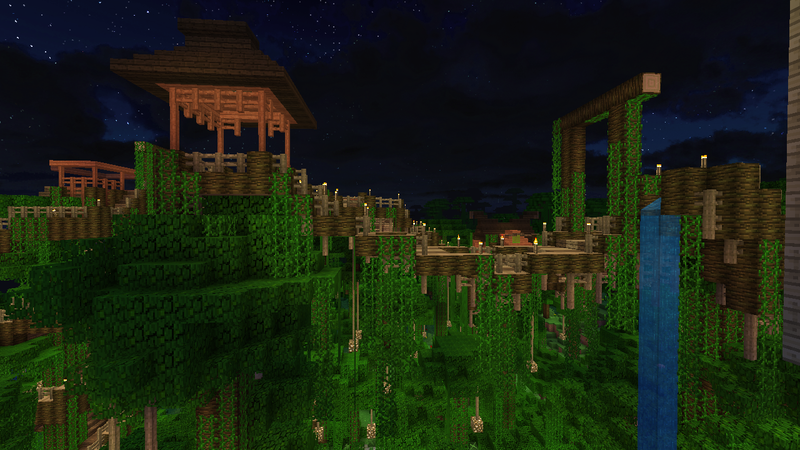 Here, have a hanging jungle bridge or few..
Maybe I'm not as good at design as I like to believe, but that looks pretty detailed to me. I like it!